Toast the bread for approx. 2 mins. in the upper half of an oven preheated to 240°C (grill or top heat only). Cover the untoasted side of each slice of bread with the spread. Top two slices with the tomato and rocket, cover each with a slice of bread. Arrange the egg and avocado on top, season, cover each with a final slice of bread. 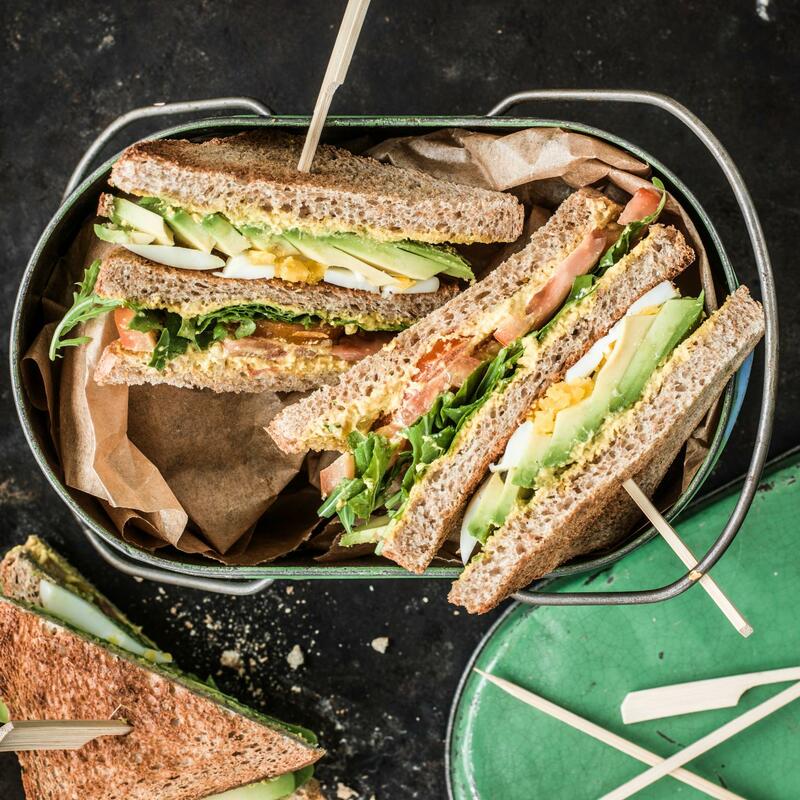 Press the sandwiches together gently, slice through diagonally, secure with wooden skewers.